Learn about common puppy health concerns such as puppy diarrhea, vomiting, and constipation, and common puppy illnesses such as puppy worms, puppy kennel cough, puppy mange, and more. 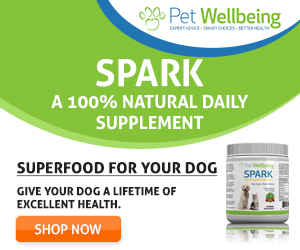 Taking care of a puppy involves, among other things, paying close attention to the puppy’s health conditions and taking quick action to resolve any puppy health concerns. It is so important for puppy owners to learn more about common puppy illnesses and their symptoms so that any change in the puppy’s health can be spotted quickly. A healthy puppy is alert, playful, and active. If your puppy suddenly becomes weak and lethargic, or refuses to eat or play, then you need to observe her carefully. See if she shows any other illness symptoms such as fever, diarrhea, and/or vomiting, etc. A young puppy’s immune system is not fully developed and the conditions of a sick puppy can deteriorate drastically. Therefore, close vigilance is essential. Diarrhea is one of the most common puppy illness symptoms and can pose serious puppy health concerns. Puppy diarrhea can be the result of diet-related problems. But it can also arise from more serious puppy health problems, such as worms and bacterial and viral infections. Persistent diarrhea can lead to dehydration, so if your puppy has diarrhea, make sure that she is hydrated. If the diarrhea persists for over 24 hours, take her to the vet. Another common puppy illness symptom is vomiting. Similar to diarrhea, vomiting can be diet-related but can also be due to worms or infections. Vomiting can also lead to dehydration. If the vomiting does not stop within 12 to 24 hours, take your puppy to the vet. Occasional constipation is not a serious concern. This is especially so if the constipated puppy is eating normally. Also, if the puppy does not show any other illness symptoms, such as abdominal pain, lethargy, etc., just give it a couple of days and see what happens. Make sure that the puppy has sufficient exercise. Also, give the puppy a lot of fresh clean water to drink. On the other hand, if the constipated puppy is straining to poop but fails to produce anything, or if she seems to be in pain, then you should take her to the vet immediately. It may be possible that she has swallowed something and has an intestinal blockage. One rather common cause of puppy coughing is kennel cough. Puppies with kennel cough have a dry, hacking cough. At the end of a coughing spell, the puppy usually will gag or retch. Coughing in puppies can also be caused by allergies, or respiratory problems as a result of pneumonia and influenza. More seriously, coughing may be an indication that the puppy has an infection, such as distemper, or heartworm. If your puppy’s cough does not go away within a week or so, get him to a vet. Other illness symptoms that pose health concerns in puppies include fever, lethargy, appetite loss, dehydration, and hypoglycemia. Visit respective pages to learn more about the possible causes of these symptoms. Kennel cough refers to a group of contagious respiratory diseases that affects young puppies (and dogs with weakened immune systems). In most cases, kennel cough is rather mild. An infected puppy will get over the cough in 1 to 2 weeks, provided that the pup has plenty of rest in a stress-free environment. Visit our page on Home Treatment for Kennel Cough for treatment suggestions if your puppy has a mild case of kennel cough. Canine parvovirus (CPV) is caused by a strain of highly contagious parvovirus (CPV2), which can bring on acute symptoms rapidly. 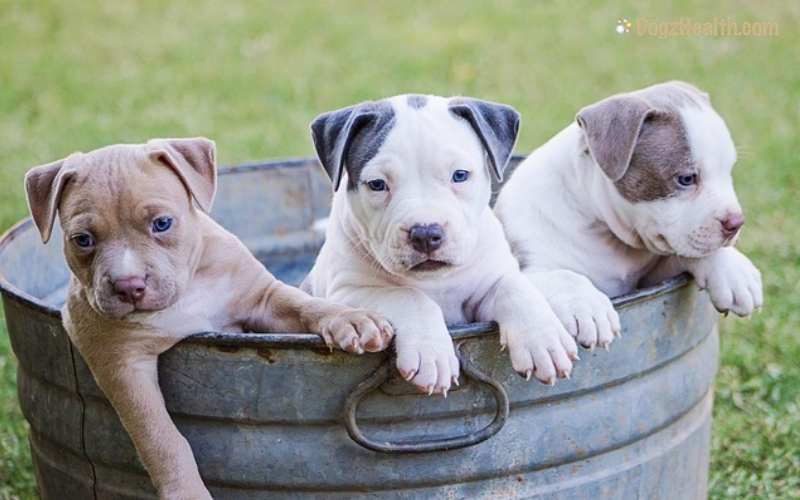 Puppies between weaning and up to six months of age are most vulnerable. Once infected, the puppy has only a 50-50 chance of survival. Visit our page on Treating Parvo in Dogs for information on the prevention and treatment of parvo in puppies. Puppy distemper is caused by a highly contagious virus that is similar to the one that causes measles in humans. 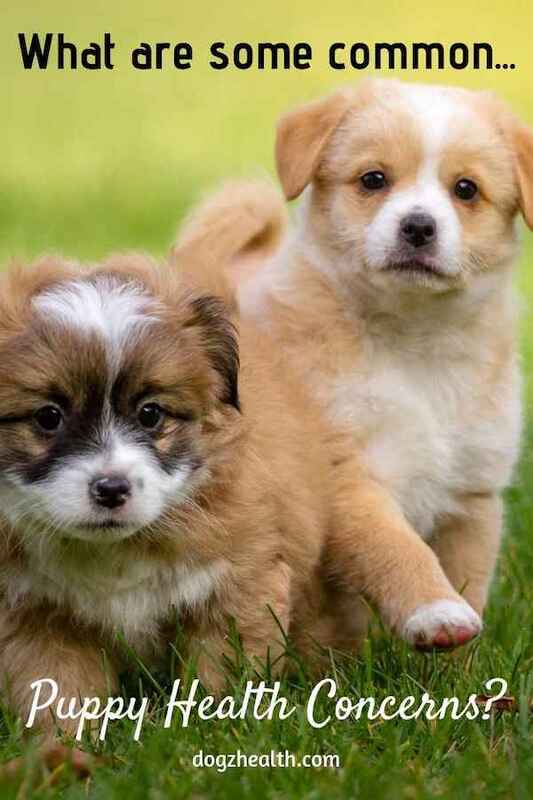 Young puppies less than four months old, and unvaccinated puppies who are 6 to 12 weeks of age are most vulnerable. Vaccination is the best way to prevent your puppy from getting distemper. Worms also cause serious puppy health concerns. Over 95% of puppies are born with roundworms. If a very young puppy is infested, it will result in severe illness or even death. The younger the puppy, the more serious the symptoms are. Hookworms and whipworms can result in blood loss and even death in young puppies. Deworming and good sanitation are necessary to prevent infestation in puppies and dogs. Sarcoptic mange (scabies) can cause intense itching and hair loss in puppies. Since scabies is highly contagious (people can be infected too), take extra precaution if you suspect your puppy has scabies. Another type of mange, called demodectic mange (aka red mange), can also affect puppies. It is caused by a type of mites that live in the hair follicle and cause hair loss. Although we can find the red mange mites in most pups, those with a healthy and balanced immune system are usually not affected. Keeping your puppy’s immune system strong is the way to avoid health problems such as puppy mange. Young puppies 3 months of age and older can get acne. They are red-purplish pustules and blackheads (comedones) that come to a head and drain pus. Acne by itself usually does not bother the puppy too much. Sometimes though, there is secondary infection which can cause hair loss, pain and itchiness to the puppy. You can use home remedies to treat mild cases of puppy acne. Puppy hernia is a congenital defect. It is a protrusion of fat and/or bowel through an opening in the body wall that would normally close during development. In puppies, two common areas where hernias occur are the groin and the navel. A hernia is repaired by replacing the protruded section of tissues back into its original correct position and then suturing closed the abnormal openings. Puppy strangles is a serious immune-mediated skin condition that affects puppies 4-16 weeks of age. The classic symptoms include a sudden swelling of the lips, eyelids, ear flaps, or face in a young puppy. The puppy may also have other symptoms, such as fever, appetite loss, and lethargy. Vets usually use high doses of oral corticosteroids to treat puppy strangles. A swimmer puppy is one who cannot stand and walk by 3 weeks of age due to weak adductor muscles. As a result, the puppy lies flat on the floor and paddles around like a turtle.